Attracting, hiring, and retaining best individuals is one of the most crucial tasks of any organization. Skilled and talented people are the key assets that can take a business to new heights. At a time when big brands are luring savvy students from across the campuses, it is challenging for small businesses to draw their attention and hire them. The big companies are not only attracting the best minds, but they are also poaching talented employees from small and medium companies. So are you prepared to recruit and retain savvy students? There is no doubt that technological innovation has disrupted industries in a big way and the trend is just refusing to slow down. A report from Statista shows how various segments in IT industry are facing severe skill shortage around the world. In light of this, university students are being seen – and rightly so – a profound source of plugging this skill shortage. So this is the time to change the way you attract and retain the next generation of talent. To begin with, just put yourself on the shoes of those students who are fascinated and poised to work outside their campus gates. You can also memorize your own days when you were ready to join the band wagon. Which company would you like to work for? – Companies having great culture with immense growth opportunities! Isn’t it? Show them you are no less than the bigger brands. Let this brilliant crop of talent know that you can also provide resources, which are very important for their growth. Being clear about who you are and what you stand for is the key to import best minds. When you share the conviction about what your company’s mission is, it matters a lot to graduates. Advertise your organization's culture, and echo your talent's needs, skills and attitudes. Working with companies that seem creative and stand out from the crowd is instinctive in students. They are passionate, energized, and ready to show their potential. This potential is what you have to tap and harness. Show your audience that you have a keen eye for creativity. As everyone knows innovation is important for any company, nothing will help you more than building a culture that is deliberately fluid and creative. So how will you identify creative students? As a matter of fact, diversity of thought helps collaborative creativity. The more diversity you have at your workplace, the more breeding ground for creative ideas it becomes. Spot the students that maintain creativity while in college by finding diversity in their backgrounds. It also indicates a potential employee with more diversity of experience, knowledge and thought. Graduates want to connect with real people because they want to experience the authenticity of a brand. Building relationship with your target audience is right foot forward if you want to have them work for you. The significant way to build relationships with graduates is through early and ongoing engagement that is not limited to just campus interaction. You can start this by building a student database through universities and alumni networks. In addition to event marketing tactics, you can send custom invites, event reminders or informative handouts to the students. This early engagement will generate interest in students about you and they will seek you out. Building relationship also includes the follow up of the engagement activities. You should maintain and develop a relationship with other employed graduates and learn about their career preferences over time. The unprecedented popularity of social media has also thrown a great opportunity for companies to attract finer talents. Various social channels will provide you visibility, reach, and a platform for healthy interaction. Before appearing for interviews, today tech-savvy students get a fair idea as to how good the company is. Thus social media provides you with the opportunity to brand your page with more employee-related events. It enables you to take control of your company’s image. Build career pages that focus on the core benefits of working with your company, including videos to show potential candidates working for your company is really like. Create a multi-channel marketing campaign to drive traffic to your career page. Facebook career page will give further insight to your audience. You can share informative blog posts that are useful for students. LinkedIn is a highly organic social media platform for employers and job seekers. So make most use of it. It makes no sense if you don’t know how effective your recruiting efforts are. Having a lot of candidates in your pipeline is a great thing, but it doesn’t necessarily mean you are on your way to meeting your hiring goals. There are many ways to measure the recruiting process. Know what the retention rate in your company is. If you have placed candidates that are happy in their role then you’ll know you did a good job. It’s important to figure out how many qualified candidates came for the opening. Also if your offer acceptance rate is lower, it shows that your recruiting strategies simply aren’t enticing students. Now you can use this data to focus on refining your strategies if you spot any shortfalls. 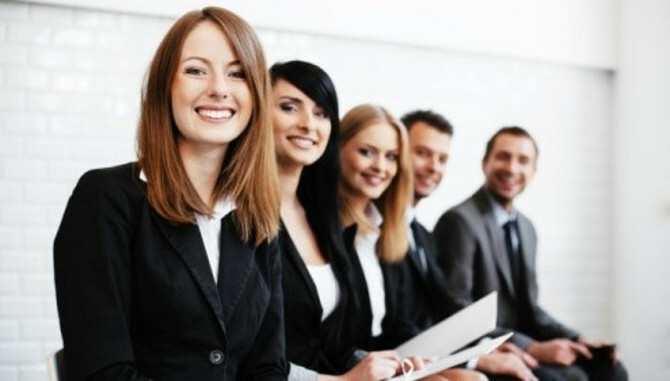 Talented and savvy students are the delight of employers and companies around the world are ready to spend any amount of money to recruit them. However, when provided with better career opportunity, growth prospects, and great company culture, skilled students can opt smaller companies as well. The above tips will be immensely helpful for you.